In our experience, Anniversary products tend to be either high-end mega-money statements to show just what the company is capable of, or distinctly retro to show where it started. 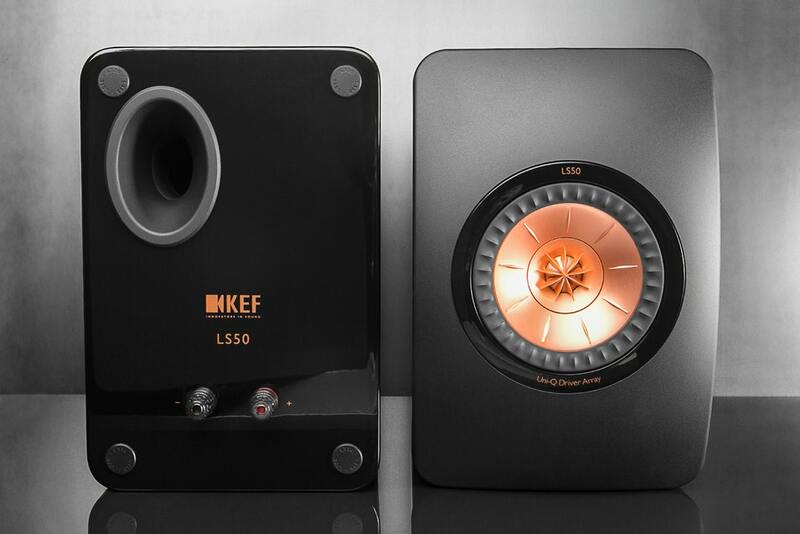 KEF’s new LS50 is neither. The marketing blurb goes on about connections to the fabled BBC LS3/5a mini monitor (which used KEF drive units), but the fact is that there’s little technical substance to link the two. That shouldn’t matter – the LS50 remains a blindingly good speaker for the money. The drive unit complement is the latest evolution of KEF’s trademark Uni-Q array. The Uni-Q may look like a single unit, but it’s really a 25mm aluminium dome tweeter in the centre of a 13cm magnesium/aluminium–coned mid/bass. The idea is to improve the way the speaker disperses sound and help integration. What looks like a grille in front of the tweeter is in fact a waveguide that improves its high-frequency performance. Even without that opinion-dividing colour – KEF calls it Rose Gold – this is one distinctive driver complement. The engineers have worked hard on the cabinet. That curved front panel is made of DMC (Dough Moulding Compound: a polyester resin combined with glass fibre and calcium carbonate). DMC was chosen for its mass and inertness. The rest of the enclosure is made from MDF. It’s heavily braced and strongly damped to minimise any resonances. We don’t tend to go on too much about reflex ports. The elliptical one used to tune the bass on the LS50 is unusual, though. Put your fingers inside and you’ll feel that it’s flexible. This helps to reduce any unwanted midrange distortions. Given a little space to breathe and mounted on a pair of solid stands these monitors sound terrific. The first thing that strikes us is the quality of the bass performance. For boxes that stand just 30cm high, these speakers deliver deep, agile and powerful lows from the likes of Massive Attack’s Flat of the Blade. 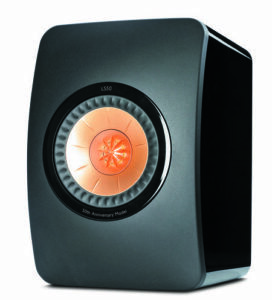 But, unlike most small speakers that deliver big bass, the LS50s don’t over-egg things – everything sounds balanced. 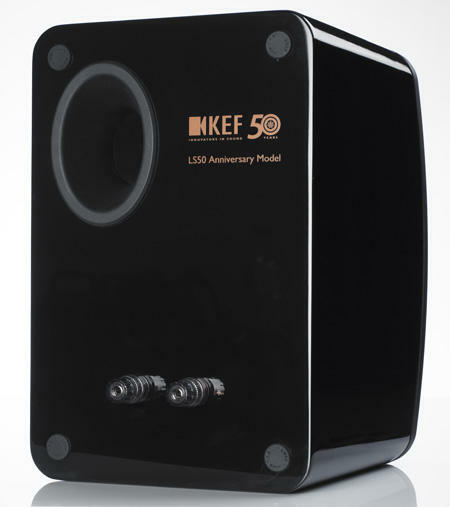 Move up the frequency range and these KEFs continue to impress. Kate Bush’s vocals on 50 Words For Snow are as clear and articulate as you could wish for. These speakers communicate the energy and drive in a piece of music brilliantly. We’re impressed by the speaker’s seamless integration too, as we are by the way it sets up a huge stereo image populated by securely focused sounds. And, perhaps most importantly, these speakers are fun to listen to. It’s not something (we think) KEF has always managed with its products. Here it has. Of course, the LS50’s innate transparency means that any flaws in the partnering kit will be apparent. But get it right and you have what is one of the best standmounters below £1000, and easily one of KEF’s most musical efforts in years. That’s the way to celebrate half a century.